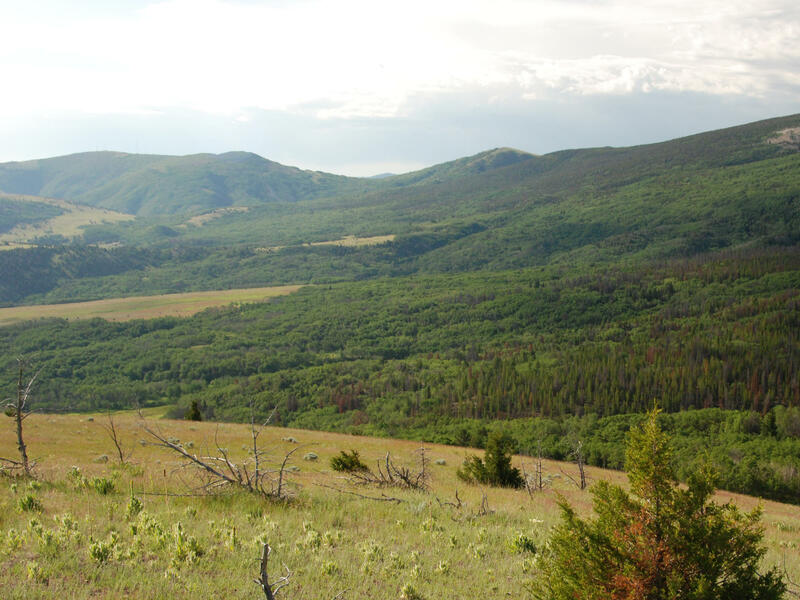 Montana live water and hunting land for sale with majestic views of the Anaconda Mountain Range. 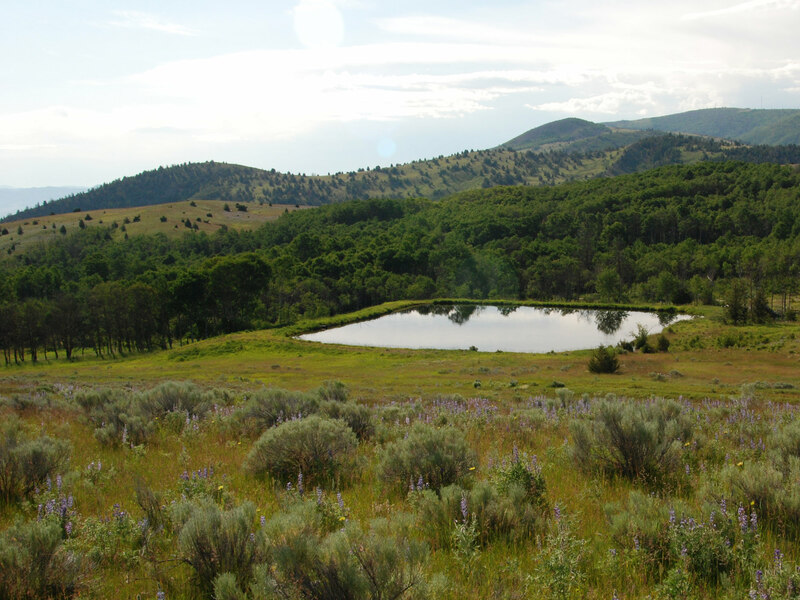 Garrity Mountain Meadows is an alpine sanctuary with live water, ponds, privacy and endless views of mountain grandeur located only minutes from one of Southwestern Montana’s most noted and historical mining towns – Anaconda. This exceptional 640-deeded acre offering is comprised of irrigated pasture, open grassy slopes, creek bottom meadows and dense forest adjacent to the Garrity Mountain Wildlife Management Area. There are approximately 115 irrigated acres along the valley floor with excellent senior water rights. It appears as though the meadows have been intermittently flood irrigated over the years. Open grassy slopes lead towards creek bottom meadows which are surrounded by a dense forest canopy. There are several natural ponds within this small private eco-system all encircled by the beauty of the surrounding mountains. This Property will provide its next owner the satisfaction of living in a beautiful setting along with the peace and quiet of being in the heart of one of the premium recreational meccas of Montana. 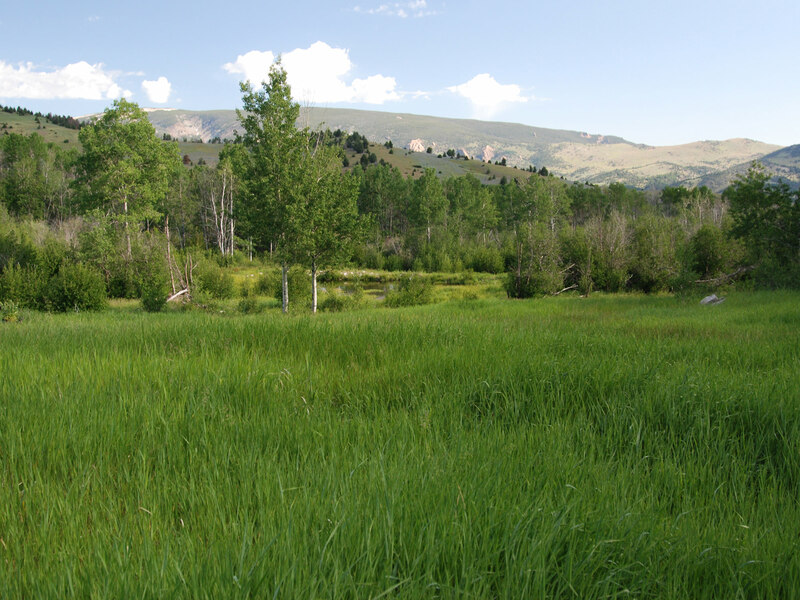 Garrity Mountain Meadows provides tremendous wildlife habitat and offers an attractive combination of quality live water and big-game hunting. This area is one of the finest recreational centers in Montana. The Jack Nicklaus “Old Works Golf Course” is nationally recognized and is literally minutes from the Property.. Discovery Ski Area and Georgetown Lake are twenty minutes up the road. The world class Big Hole River, Lost Creek and Warm Spring Creek are all within a short drive. Philipsburg and its history and the Anaconda/Pintler Wilderness Area mark this part of the state as a recreational mecca. 115± Acres of Irrigated Land. Perennial Ice House Gulch Creek runs through the property for 1.5 miles and provides a very attractive riparian thread and irrigation water. Gray’s Gulch Creek is another perennial stream which also traverses the Property and provides additional irrigation water. These creeks and the stocked lake plus several natural ponds provide a prolific small fishery which could be enhanced if desired. There are also several natural springs which appear to have excellent flow. Frequented by white-tail and mule deer, elk, moose, bear, bighorn sheep and several species of upland game birds, Garrity Mountain Meadows will provide its next owner the satisfaction of living in a beautiful setting along with the peace and quiet of being in the heart of one of the premium recreational areas of Southwest Montana. The Ranch is being offered for sale at $1,750,000. The Seller is desirous of consummating a sale of the Property this year. The Agent has been authorized to offer the Property for sale on an all cash basis or at contract terms acceptable to the Seller at its sole discretion. The Property is conveniently located about 1.5 miles to the west of the community of Anaconda, Montana and about 30 miles northwest of Butte. It is accessed by driving on the well-maintained Stump Town Road south from Anaconda. With a population of just under 10,000, the economy of Anaconda thrives on the recreational amenities that surround the area – including fishing, hunting, golfing and skiing. The rich history of the region provides vast opportunities to learn of Montana’s storied mining history and the famed Copper Kings. Located in Deer Lodge County, Anaconda offers good services including several banks, shopping, a hospital, and a multitude of health care providers, a museum – Copper Village Museum and Arts Center, equipment and auto dealerships and numerous dining establishments. Families can expect their children to receive a high quality kindergarten through high school education at Anaconda School District. Students attend from the surrounding community to experience the unique environment of the mid-sized, multi-grade classrooms. With 340 students, the high school is categorized as a Class A school and provides a great learning environment and competitive interscholastic athletic programs. School bus service provides roundtrip transportation for students in the area. For private aircraft, fuel service is available at Anaconda’s Bowman Field Airport (3U3). There are two asphalt runways that are in fair to good condition. The airport sits at an elevation of 5,030' above sea level and can be contacted on CTAF frequency 122.80. The airport is suitable for private aircraft and is easily accessible. Additional information is available on their website: http://www.airnav.com/airport/3U3. Frequented by white-tail and mule deer, elk, moose, bear, bighorn sheep and upland game birds, the hunting and fishing that are available within the confines of the property are unsurpassable. 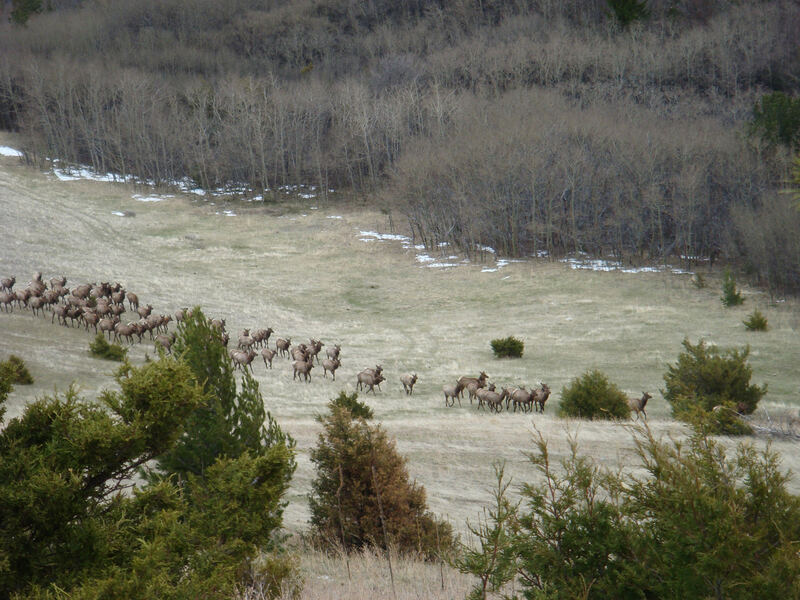 The abundance of elk and deer create a prime hunting habitat. 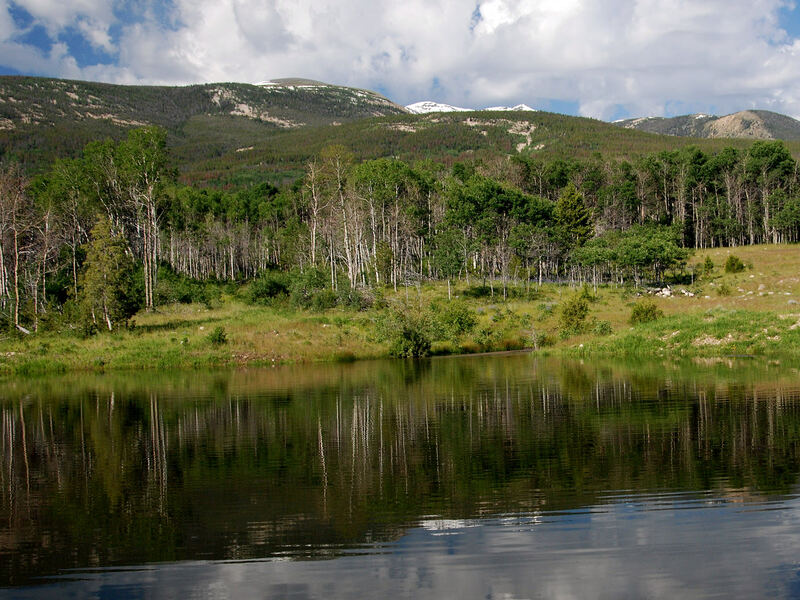 Fly fishing for sporty brook and rainbow trout in the stocked pond as well as the year ‘round creeks of Ice House Gulch and Grey’s Gulch will easily satisfy any angler. 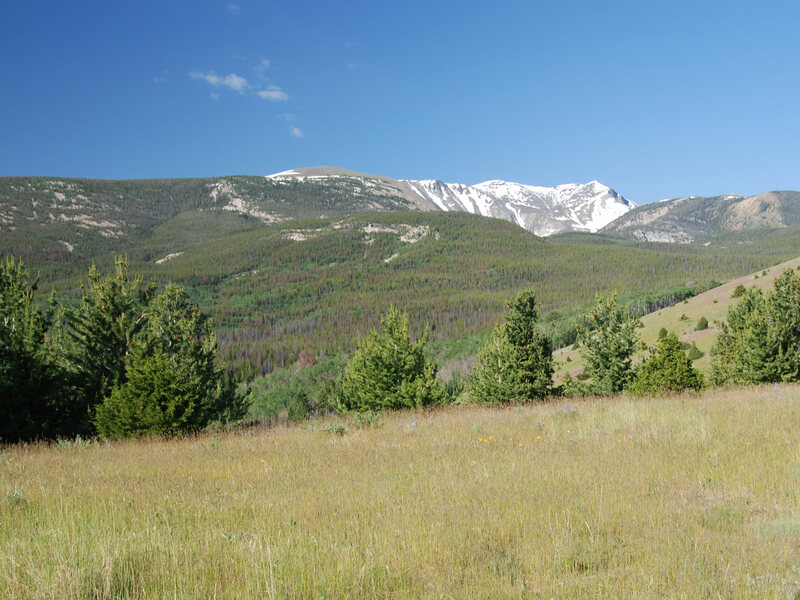 Adjoining the property is the Garrity Mountain Wildlife Management Area which not only draws big game onto the Ranch, but also creates easy access for hiking. 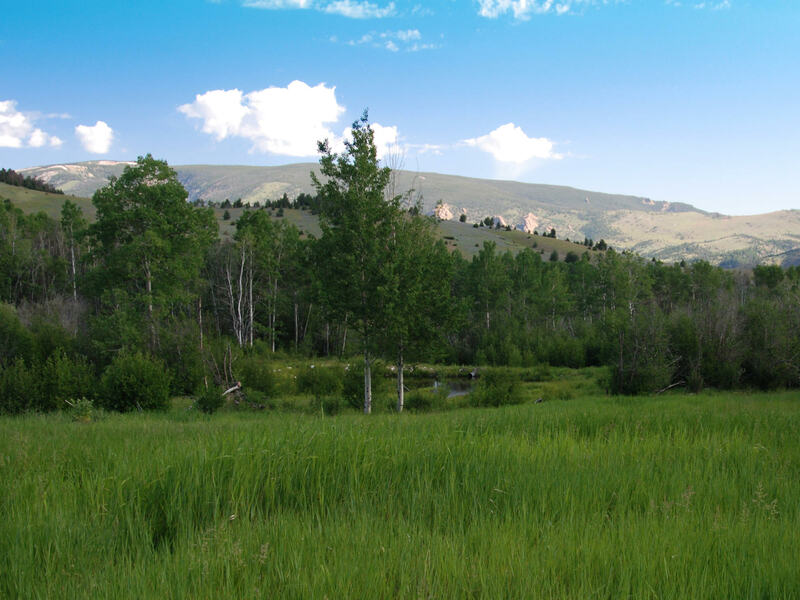 The Ranch is surrounded by some of the most desirable recreational areas in Montana. Anaconda and Deer Lodge County offer a plethora of fishing and hunting, golfing, boating, skiing as well as other winter-time activities. Georgetown Lake, located less than 15 minutes northwest of the Ranch, is approximately 3,700 acres and offers year ‘round activities. This blue ribbon fishery is home to trophy-sized rainbow and brook trout, as well as kokanee salmon. Ice fishing is also popular in the winter. Boating, jet skiing and canoeing or kayaking are all options to cool off after an adventurous hike or mountain bike ride on the countless trails surrounding the lake. The Big Hole River, a world renowned trout fishery, is one of only a few free-flowing rivers remaining in the West. A major tributary in the headwaters of the Missouri River, the Big Hole River flows through the heart of the Deerlodge National Forest and offers a full menu of fly-fishing experiences. It is wonderful to float its classic riffle, run and pool water during the higher flows in June when the renowned salmon-fly hatch explodes to provide one of fly-fishing’s most rewarding experiences. The River is comfortably wadable from July through October when classic caddis, trico, hopper and mayfly hatches continue the consistent feeding action on the Big Hole. Streamer fishing is particularly enjoyable in the spring and late fall. The productive Middle Section supports a good population of large fish – catching German browns up to 23 inches in length is a delightful, regular experience. There are three golf courses within minutes of the Ranch. The 9-hole Anaconda Country Club opened in 1918 is a well maintained and priced very reasonably. The Old Works Golf Club – A Jack Nicklaus Course offers 18 holes and has continually be ranked as one of the best courses in Montana. And the 18-hole course at Fairmont Hot Springs was just recently named by Golf Digest as one of the “Best Places to Play”. In the winter, Discovery Ski Area, just 20 miles from the Ranch, is a great family ski hill offering a diverse terrain for all levels of skiing and snowboarding. From the 67 runs with 2,100 patrolled acres of skiing you can enjoy the stunning vista overlooking Georgetown Lake. For cross country skiing the nordic trail system of Mount Haggin, offering 20 km of groomed trails, is one of the best trail systems in Montana. Snowmobiling is also popular on the 650 miles of groomed trails in the Fairmont area. Marcus Daly, known as one of the “Copper Kings”, founded Anaconda in 1883. Daly and his associates constructed the smelter and reduction works along Warm Springs Creek to process copper and silver ore from their mines in Butte. Daly also unsuccessfully campaigned to have Anaconda named as the State Capital of Montana. By 1919, the 585-foot smokestack, the Anaconda Smelter Stack, was the tallest masonry structure in the world and the smelter-refining complex constituted the world’s largest nonferrous processing plant. The creation of the smelter also led to the Union Pacific Railroad being brought to the area in late 1882 allowing developers to build, equip the smelters and transfer the ore. This had a major impact on the growth of the town. The smelter was one of the town's largest employers and provided well-paid jobs for generations. The last of the smelters in Anaconda closed in 1980 and with it a legacy in the mining history in this area. To this day, the giant 585-foot smokestack remains a landmark. Garrity Mountain sits between 5,500 and 6,200 feet above sea level. The average annual precipitation is 14 inches. The area’s average growing season is approximately 114 days. Average maximum Fahrenheit temperatures in June, July and August range from 72 to 80 degrees. In December, January and February average maximum temperatures are between 34 and 39 degrees. Summer nights average about 45 degrees. Winter average minimum is between 13 and 16 degrees. This is an area that receives a good amount of sunshine throughout the year. Electricity and phone run to the property along Stump Town Road. Electricity is provided by Northwestern Energy and Blackfoot Telephone Coop provides telephone service. The real estate taxes for 2011 were $1,317.00 about $2.06 per acre. 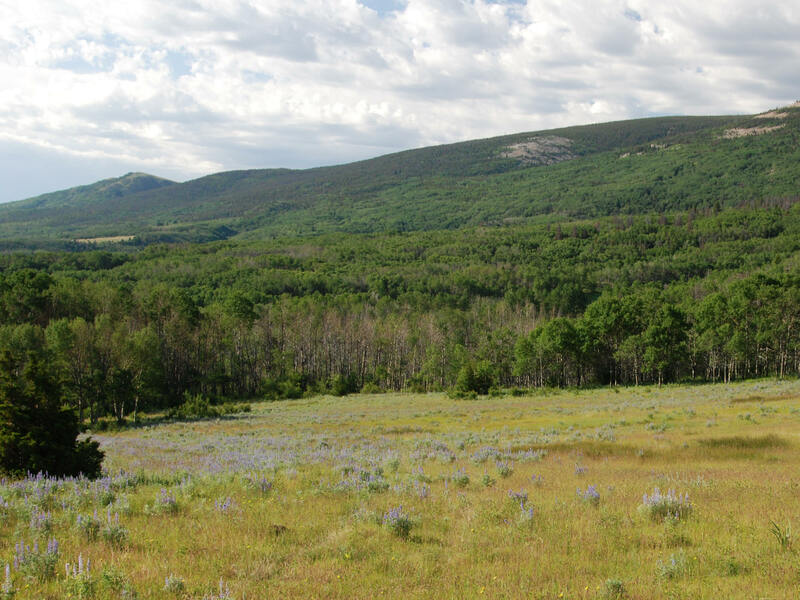 Garrity Mountain Meadows provides an opportunity to own a reasonably-sized acreage in one of Southwest Montana’s most desirable areas. 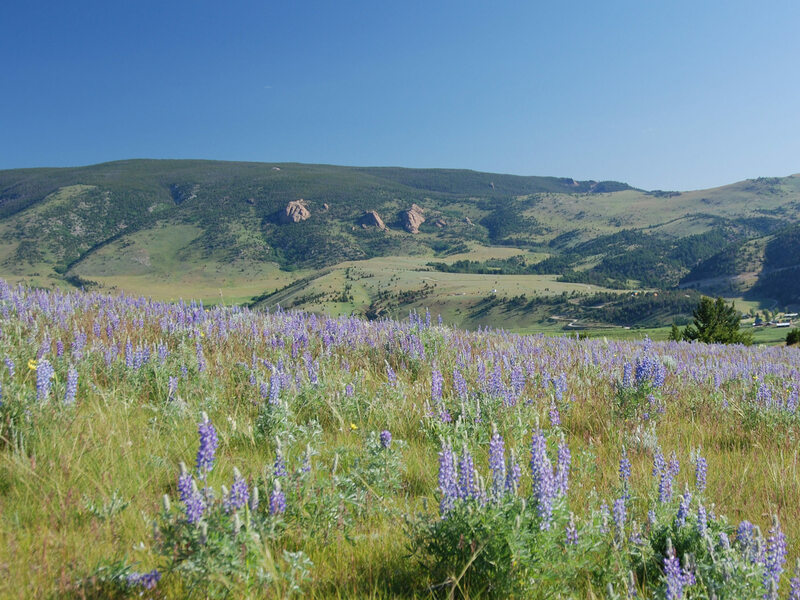 Those who have watched property values in Southwest Montana for the past several years will find Garrity Mountain Meadows to be competitively priced in today’s market at under $2,750 per acre! The Seller is offering the Ranch for sale on a cash or terms deal. A possible terms deal would be subject to approved credit by the Seller, the following financing terms would apply: a minimum of 35% down payment, 4% fixed interest rate, five year maturity, and quarterly payments of principal and interest based on a twenty-year amortization. No origination fee or closing costs. The Ranch has been surveyed and pinned and will be conveyed with a recorded Certificate of Survey at the close of a purchase transaction. With good county road access, the Ranch can be enjoyed on a year ’round basis and will provide plenty of summer recreation and winter enjoyment including snowmobiling and cross-country skiing. 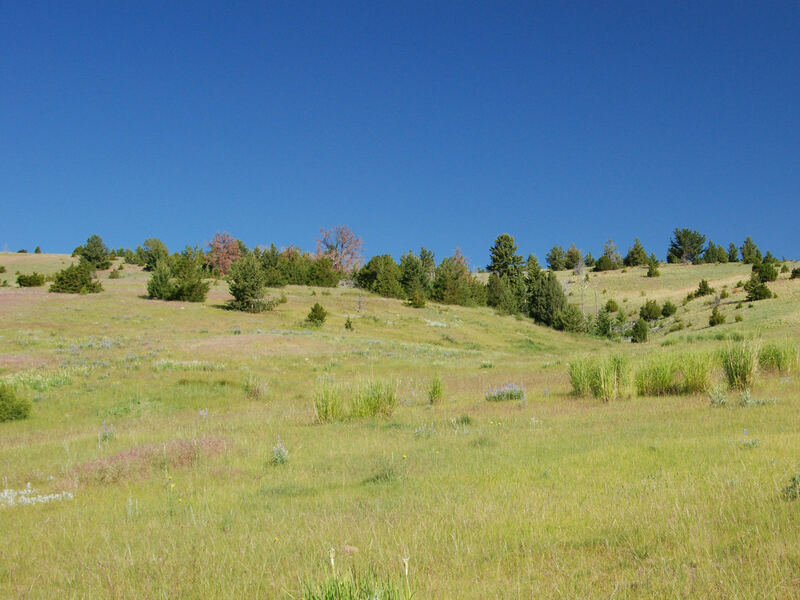 Numerous building sites exist and will provide the next owner the enjoyment of living in one of the finest areas Montana has to offer. The next owner has plenty of opportunities to plan and construct a new compound with their personal touch at a location that best suits them. 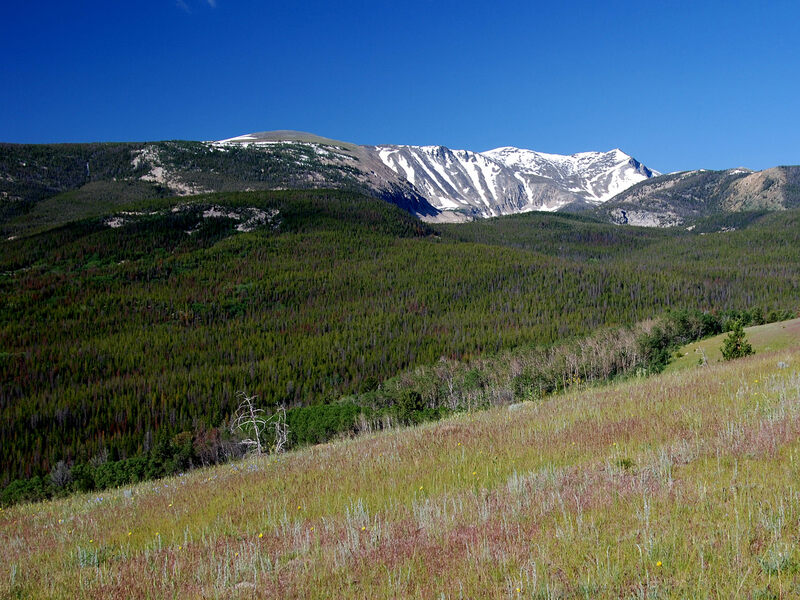 Garrity Mountain Meadows provides precious live water, wildlife, attractive views and close proximity to Montana’s great outdoor activities. The Property is ideally located for either a weekend retreat or permanent residence. The Property is easy to operate, and will provide enough ground to pasture saddle horses and run a small herd of cattle to manage the grass. Any and all appurtenant water rights will be transferred with the Property. The existing streams and springs have historically provided constant flows. All of the Property’s water rights will be transferred to the Purchaser and all of the mineral rights which the Sellers actually own will be conveyed to the Purchaser at Closing. The Seller is making known to all Potential Purchasers that there may be variations between the deeded property lines and the location of the existing fence boundary lines on the Garrity Mountain Meadows. The Seller makes no warranties with regard to the location of the fence lines in relationship to the deeded property lines, nor does the Seller make any warranties or representations with regard to specific acreage within the fenced property lines. 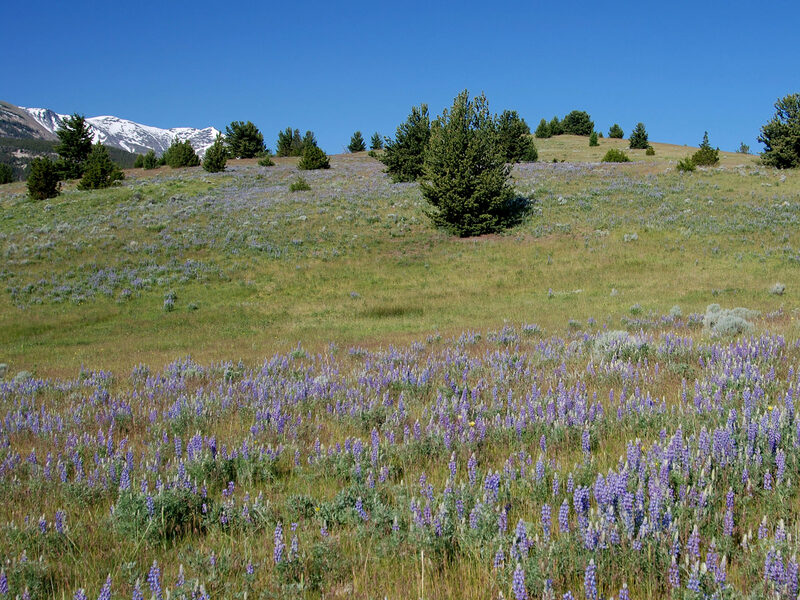 The Seller is selling the Garrity Mountain Meadows in an “as is” condition which includes the location of the fences as they now exist. Boundaries shown on any accompanying maps are approximate. The maps are not to scale and are for visual aid only. The accuracy of the maps and information portrayed thereon is not guaranteed nor warranted.